The innovators behind the Rolflex self-care solution invite you to the premier bodywork and therapeutic event of the year in Manhattan Beach. The Second Annual Resistance Stretching Symposium is being held to share the importance of the practice and the methods, ideas, science, and research behind it. The Symposium takes form as an interactive two-day event that will offer participants the chance to experience unique breakout sessions taught by leading experts in the industry. Sessions will spotlight groundbreaking restorative techniques, as well as unique ways to improve self-care and address problems with movement limitation. It will also introduce you to a variety of Resistance Stretching tools including the Rolflex. 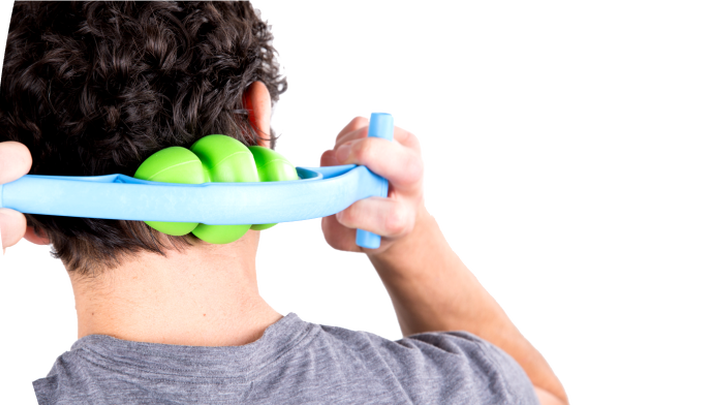 This whole-body self-care tool allows you perform self-administered “mashing” and true Trigger Point therapy on the body. The event will be hosted in part by Nic Bartolotta, Chief Clinical Officer of Range of Motion products, licensed physical therapist, holistic health practitioner, speaker, and creator of Dynamic Contraction Technique (DCT). Special guests include: Gary Vitti, former athletic trainer of the Lakers, Jules Mitchell, the founder of Jules Mitchell Yoga, Scott Kuhagen, the founder of M11 Fitness, and many more. Additional event attractions include an expert Q&A, raffle, and social hour.